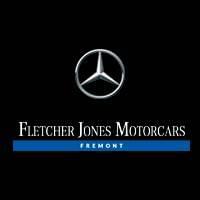 You depend on your vehicle every day, which is why Fletcher Jones Motorcars of Fremont offers expert repair and maintenance service for your luxury sedan, SUV, or Sprinter Van. Plus, every month we update our service specials and coupons, so our San Jose and Newark customers can get the services they need—for less! *Up to $20 reimbursement for ride share expense. Valid only at Fletcher Jones Motorcars of Fremont. Please see advisor for more details. To view a vehicle’s schematic, a smartphone or tablet with a camera and internet connection is needed. The QR code for any given Mercedes-Benz vehicle can be found in two areas: on the inside of the fuel door and on the driver-side door post. As of November 1, 2013, QR codes are fitted as standard for all Mercedes-Benz vehicles. Models from as early as 1990 can be retrofitted with their own QR codes. Visit Fletcher Jones Motorcars of Fremont for Rescue AssistSM installation, and we’ll complete a multi-point inspection—free of charge. Go to your device’s app store and search for QR readers. Download the reader you prefer. Open the QR reader app on your smartphone or tablet and find one of the two QR code decals located on the vehicle. Hold your device in front of the decal, press the button to scan, or wait until the reader focuses and takes you to the vehicle’s schematic.